Humans have been eating walnuts for over 10,000 years. 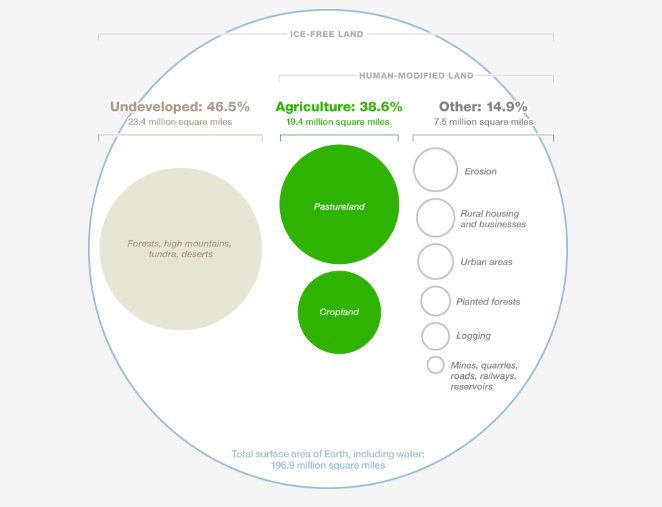 But agriculture is also one of the biggest causes of biodiversity loss, as habitats are destroyed in favour of agricultural land use, and a focus on a narrow band of crops affects the gene pool. Three quarters of the world’s food comes from just 12 plants and five animals. Just three of these plants (rice, wheat and maize) make up nearly 60% of all plant-based calories humans consume. Of the earth’s estimated 400,000 plant species, we could eat around 300,000. And yet we only eat 200. This narrow range of eating habits is having a negative impact: not only are we limiting our vitamin and mineral intake, but overreliance on a few species leaves us prone to disaster with harvests vulnerable to pests, diseases and the impact of climate change. Governments and organisations around the world are beginning to wake up to the need to increase agricultural biodiversity as an important part of the global effort to improve biodiversity more generally. 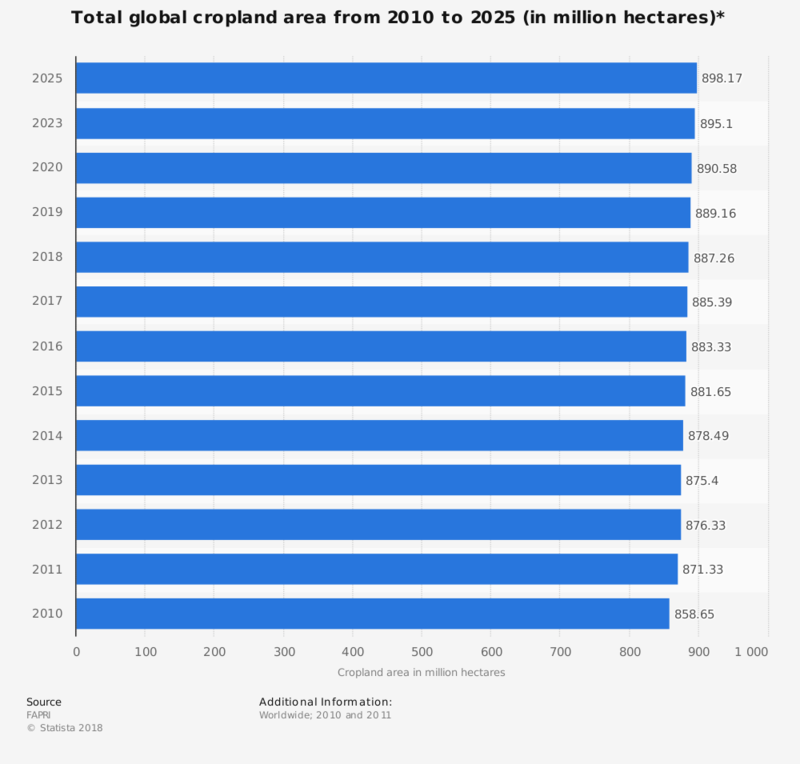 With the world population set to hit 10 billion by 2050, and diets getting richer, we will need roughly double the amount of crops we farm now in the next 30 years. This means making better use of our land: getting more out of less space. But also finding new ways of getting our calories and nutrients. Alternative and sustainable protein sources will play a large part in this as global demands for meat rocket, especially in China, catching up with long-held traditions in the Western diet. To achieve this, global food preferences need to shift to a more diverse plate that balances nutritional value and flavour with environmental impact, accessibility and affordability. A recent WWF and Knorr report, Future 50 Foods, has compiled a list of foods it says ticks all of these boxes - and taste good. For these reasons, it says, we should eat more of them. So next time you’re out shopping, why not add some of these to your basket? Red tomatoes are one of the most consumed vegetables globally but their orange counterparts are often sweeter and less acidic as well as containing up to twice as much vitamin A and folate. Many are also heirloom, offering a genetic diversity that can confer better disease and pest resistance. They can be used in similar ways to the more common red varieties, either raw in salads, cooked in casseroles and stews or roasted. Humans have been eating walnuts for 10,000 years - and with good reason. They contain more omega 3 fatty acids and vitamin E than other nuts as well as proteins, vitamins and minerals. Commonly eaten dried, they can be used raw in salads or cooked into sweet dishes such as cakes and biscuits or savoury sauces and dressings. Unrelated to wheat despite its name, this gluten-free grain is healthy, nutty and versatile. It is a higher-protein alternative when making pasta and bread and is commonly used in Eastern Europe and Russia in the form of stews such as goulash. Lentils were one of the world’s first cultivated crops. They come in many varieties, from those that keep their shape when cooked, such as puy lentils, to red and yellow lentils, which break down into a puree that can be used in curries, stews and soups. They are often used as a base ingredient for vegetarian burgers - pulses have a water footprint 43 times lower than that of beef. This brassica has enjoyed a huge surge in interest in recent years as a super veg that can be dried into powders to be added to soups and smoothies or baked into healthy snacks. The stems and leaves can also be eaten raw, roasted and boiled and it is available year round. It is rich in vitamins A, K and C as well as being a good source of manganese and copper. With a salty and savoury flavour, laver seaweed, a variety of red algae, provides the umami flavour profile of meat that is often missing from plant-based dishes. It’s most commonly seen around sushi, but is also used dried in soups and salads. Laverbread, where the fresh laver is cooked down and seasoned, is a regional delicacy of Wales. The big advantage to edible seaweed is that it can be grown and harvested throughout the year, and doesn’t require pesticides or fertilizers. It’s also rich in vitamin C and iodine. Already commonly used in Japan and other parts of Asia, Adzuki beans are rising in popularity as a versatile legume. They can be cooked, pureed and sweetened to be used as a paste in sweet treats, or used as a savoury ingredient in soups and stir fries. Packed with protein and antioxidants, they are the fruit of a particularly drought-tolerant plant, which produces high yields and requires far less water than many other plants. A magnet for honey bees, broad bean plants also function as a cover crop, suppressing weeds, enriching the soil and controlling pests between harvests. When young, the pods and beans can be eaten together; as it matures the beans are a fibre-rich addition to risottos, soups and stews, or tasty as a side dish. Also known as the prickly pear or cactus pear, nopales are widely cultivated in Central and South America, Africa and the Middle East. There are several bits of the plant that can be eaten: the fruit, the flower, cladodes (flattened shoots rising from the stem of the plant) and oil are all rich sources of nutrients. They also have potential for use as animal feed and to produce alternative energy sources in the form of biogas. Fonio has been around for 5,000 years, with evidence that it was cultivated in ancient Egypt. Today it is mainly grown in the dry Sahel region of west Africa, where its drought resistance and ability to grow in sandy or acidic soils make it well-suited to the environment. It matures rapidly (in 60-70 days) and plays an additional role in securing the desert topsoil. However, fonio requires a lot of effort to convert it into an edible food as each individual grain is tiny and protected by a husk that must be removed. 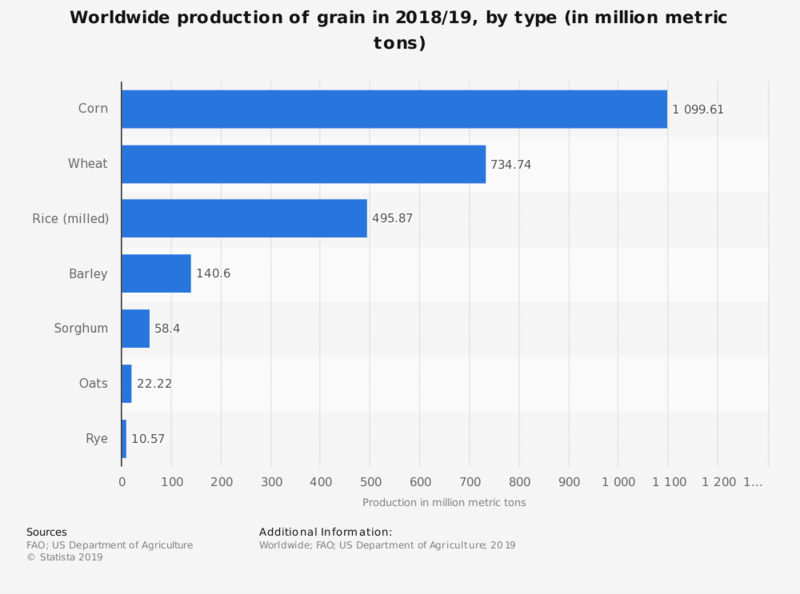 The world’s first fonio mill is due to be built by 2020, which it is hoped will help introduce the versatile, nutrient-rich grain to a wider international audience. A mainstay in many Ethiopian diets, Teff has recently risen in popularity in Europe and North America, where it has started to be grown. It can cope with both drought and waterlogged soil, is easy to store and is pest-resistant. It has a mild taste and can be used in a variety of dishes. In Ethiopia it is often ground into flour and used in a sourdough flatbread known as injera. Looking a little alien and great flash-fried in stir-fries, these tiny straw-thin mushrooms grow all year round. They are commonly used in East Asian countries in dishes including salads and soups. And although any effects have yet to be proven, they were one of the first mushrooms to be studied for cancer benefits. Often used in foods such as vegetarian burgers, but also capable of being used to create fibres for linen, flax is found across Europe, the United States, South America and Asia. The multifunctional seeds - also known as linseed - have been cultivated since the earliest times and can be used as a substitute for half of the standard wheat flour in baked goods like muffins and cakes. Flax oil is also good in dressings and sauces. Part of the sunflower family, the parsnip-like root of black salsify has creamy white flesh under a thick dark skin. It grows well in temperate climates such as France, The Netherlands and Germany and can be boiled, mashed or baked in place of a potato. Kidney beans are widely used as a versatile form of protein. But allowing them to sprout multiplies their nutritional value three fold. The beans themselves are full of lectins, which are difficult to digest unless thoroughly cooked. Once they have been, though, they are slightly bitter and pair well with sweetened sauces. Commonly used in Asian dishes, lotus root can be used as a vegetable in dishes such as stir-fries, but can also be pickled and fried. The lotus plant is very resilient, flourishing in most bodies of water and replanting their own seeds.